Panicum virgatum florets.©2014 Katy Chayka.Minnesota Wild Flowers.minnesotawildflowers.info (Accessed 1/2017). Panicum is a genus of perennial or annual, C3 or C4 grasses, with no overwintering rosette (see Dichanthelium genus). 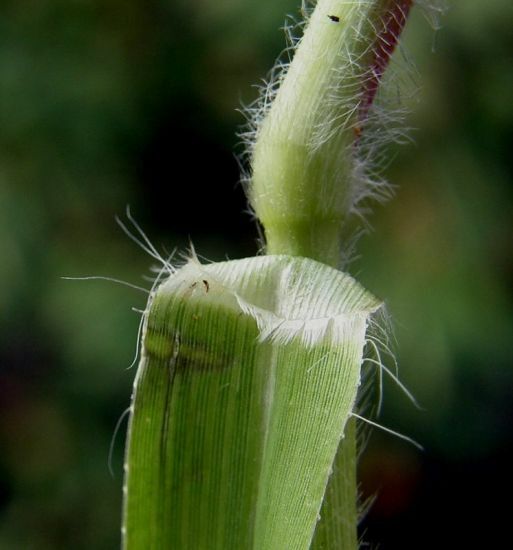 Leaves alternate; the junction of the stem with the base of the leaf blade (ligule) often hairy. 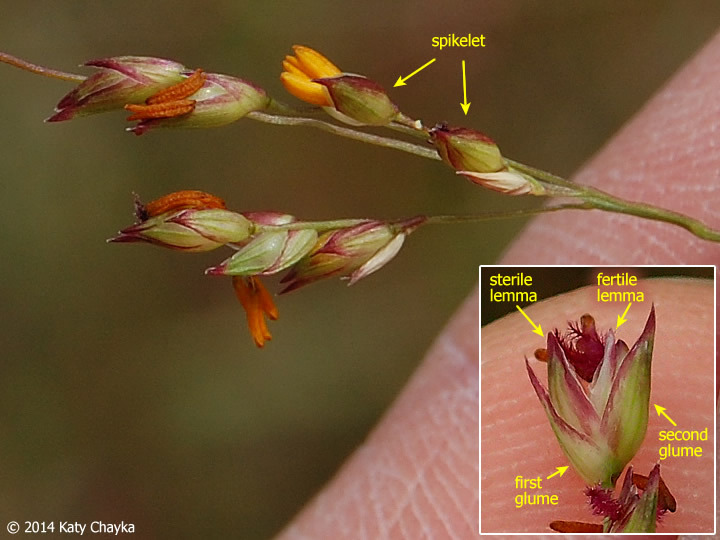 (lemma) of the fertile floret hard, pale, inrolled over the innermost flower bract (palea); inflorescence branched (a panicle) or spike-like (a raceme, in which each spikelet has a short stem). Appearance of inflorescence is generally delicate with florets well defined. 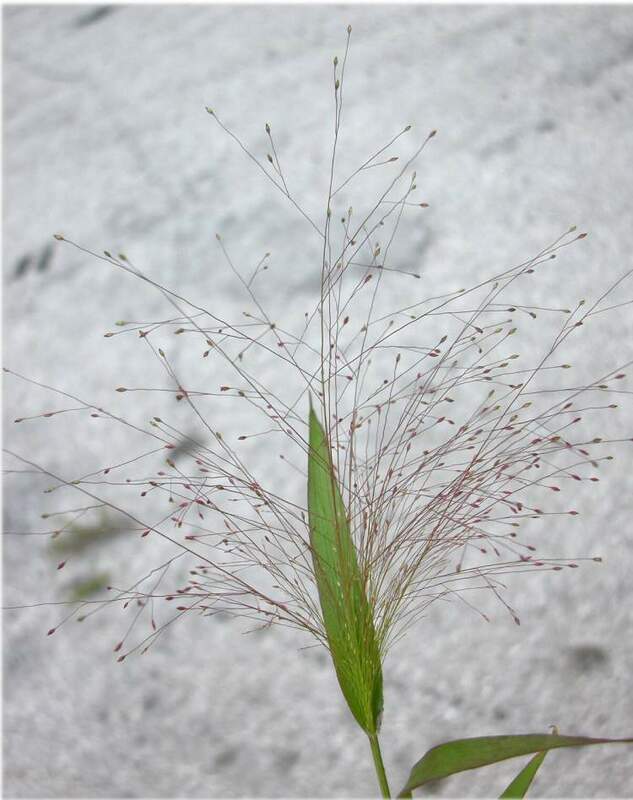 Panicum capillare.inflorescence.Andrea Moro.luirig.altervista.org (Accessed 3/2016). Notes: Susceptible to the rusts Puccinia dolosa, ‘Uromyces’ setariae-italicae, and Puccinia esclavensis (Watson and Dallwitz 1992 onwards).